The Nifty Thrifty Family: Real or Fake? Welcome to the Nifty Thrifty Family. Here you will find honest reviews of affordable family friendly hotels, family fun destinations, product reviews, and our random life happenings. Having living plants inside and outside of your home takes an ordinary house to a stunning home. There are some people who have green thumbs and then there is people, myself included, who can kill a plant within a few days. Let's be honest, who has time to go around and water flowers? I am doing good to get dinner on the table. If you are one of those people, who are on the go all the time, real plants are out of the question. But you can still fool all your friends into thinking you have all the time in the world to go around and water plants. This is where faux (fake) plants come into play. Fake plants add color, depth, and texture to any room, backdrop or table design. But you will need to purchase the top of the line faux (fake) plants, to be able to fool visitors into thinking they are real. 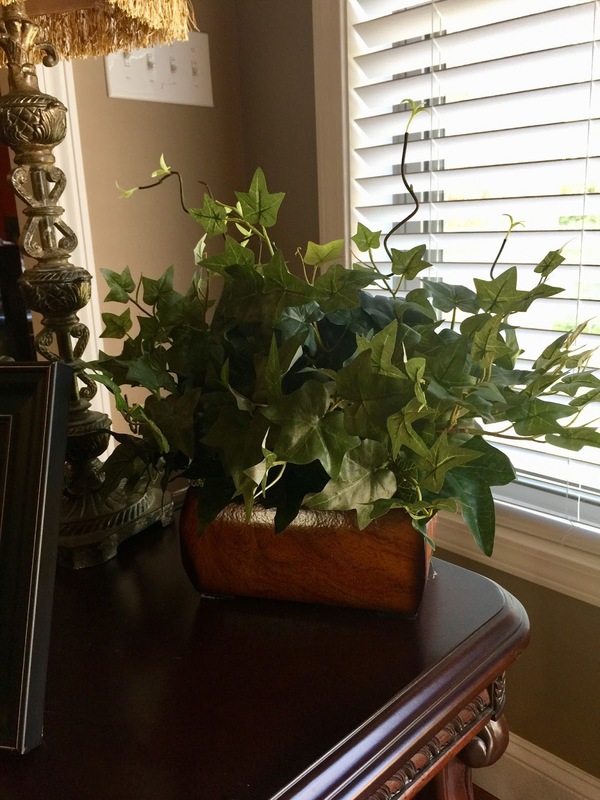 Take a look at this very nice potted silk ivy plant that I received from Commercialsilk.com. I have placed it near the window on the end table, to liven up the corner of the room. It is sitting near the window for the visual, that it needs light to live. You can buy fake plants almost anywhere. But you can get quality manufactured silk and artificial plants for indoor and outdoor decorative use at Commercialsilk.com. Once you get your fake plant the correct location of the fake plant is key. You want to put the faux (fake) plant in a place where a living plant would thrive. If you have something that would require sunshine to bloom, then don't put it in the dark. That is a dead give away that you have decorated with a fake plant. Did you know you can also use fake plants outside? Commercialsilk.com sells an azalea trellis made for exterior. 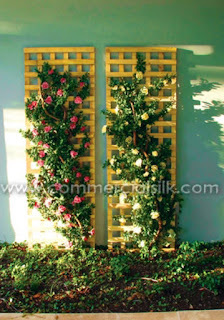 The picture below is from Commericialsilk.com of the Outdoor Azalea Trellis Design. Doesn't that look beautiful? The best thing about it is that theres no gardening and no watering. After seeing pictures of how beautifully I can decorate the outside of my home with fake boxwoods, ivy hedges, trees, and brighten up any bare spot in my home, I am sold on the Faux (fake) plants. Do you do fake or real? You can find Commercial Silk Int'l on Facebook, Twitter, Pinterest, You Tube and Google+ for all all the latest news and promotions. I received a beautiful silk ivy potted plant for the writing of this article. All opinions and judgments are 100% my own. Does your grill grates look like this?